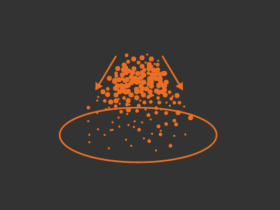 Radial systems require the precise transfer of samples between multiple chambers for preparation and analysis. 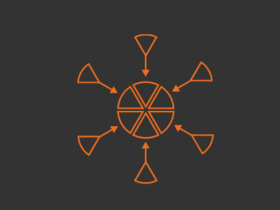 This is handled from the central radial distribution chamber (as shown on previous page). 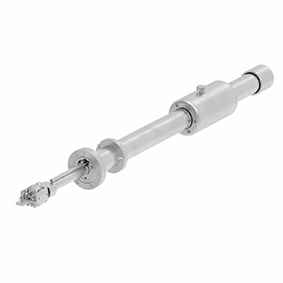 The Radial Telescopic Transfer Arm (RTTA) represents a step-change advance in radial distribution technology offering unrivalled performance over conventional designs at a comparable cost. 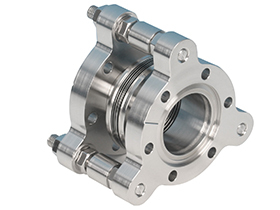 The RTTA uses a high torque magnetically-coupled MagiDrive to provide extremely stiff coupling for radial motion. 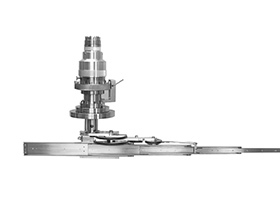 This radial motion is used to align the transfer arm with the desired chamber port achieving angular reproducibility of <0.2mm. 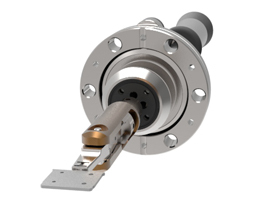 A second MagiDrive is used to drive the innovative telescopic mechanism which provides an arm extension of 760mm (2.5x that of conventional designs) to transport the sample in and out of the desired satellite chamber. 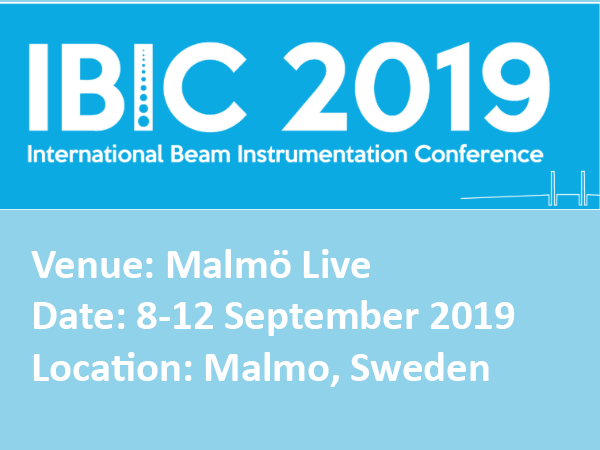 The precision slide mechanism achieves linear reproducibility of <0.2mm with <1mm deflection at full extension with a 10N load. 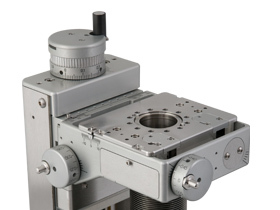 The RTTA is available in 2-axis and 3-axis versions. 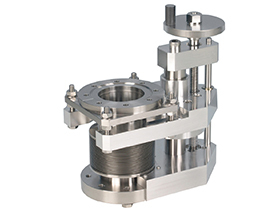 The 2-axis RTTA provides rotation for port alignment and arm extension for sample transfer. 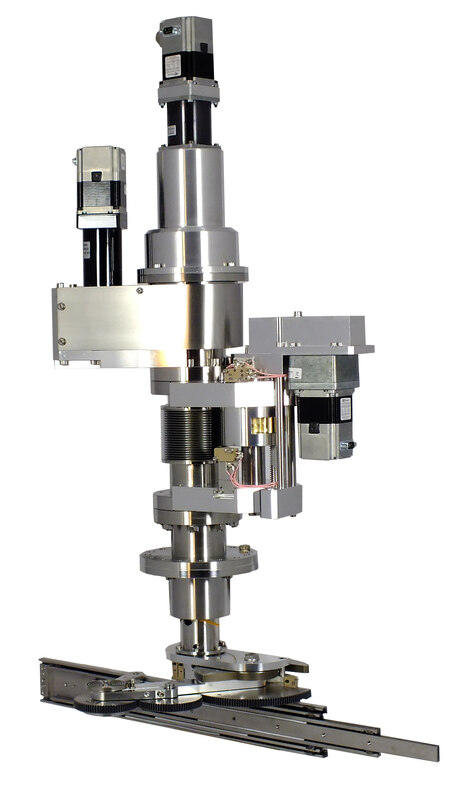 The 3-axis RTTA also includes the ability to lift and lower the sample arm for gravity based hand off typically used on our MBE, sputtering and CVD sample manipulators and heating stages. 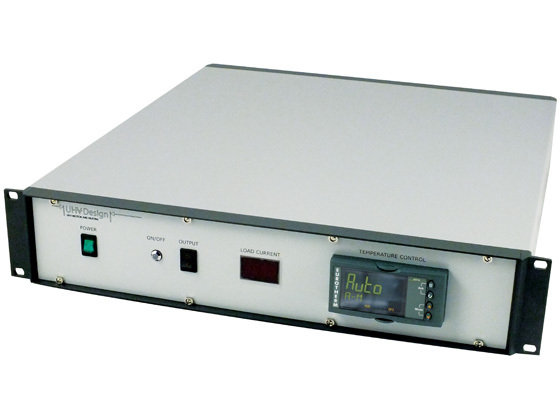 The manual version of the RTTA is supplied with an innovative, user-friendly system to align the arm with the desired ports. 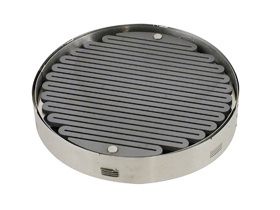 Fitted to the top of the thimble ring are a number of adjustable position stops. 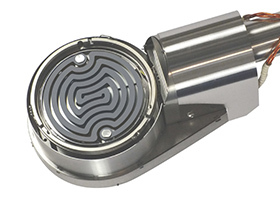 These engage with a pair of spring-loaded bearings that can be withdrawn while the drive is rotated into position then re-engaged to hold the drive firmly in position by using a simple lever. 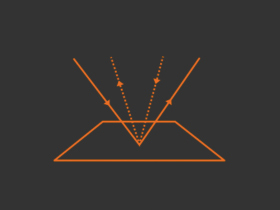 Each stop can be individually aligned with a port axis to define default angular positions which are very reproducible. 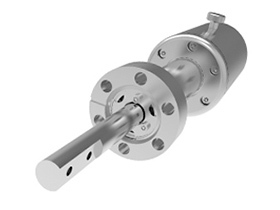 True UHV rotation with no oil, slip rings, bellows or differential pumping. 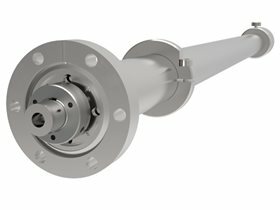 The Radial Telescopic Transfer Arm is actuated by the MD64LB and MD40 magnetically-coupled MagiDrive rotary feedthroughs. 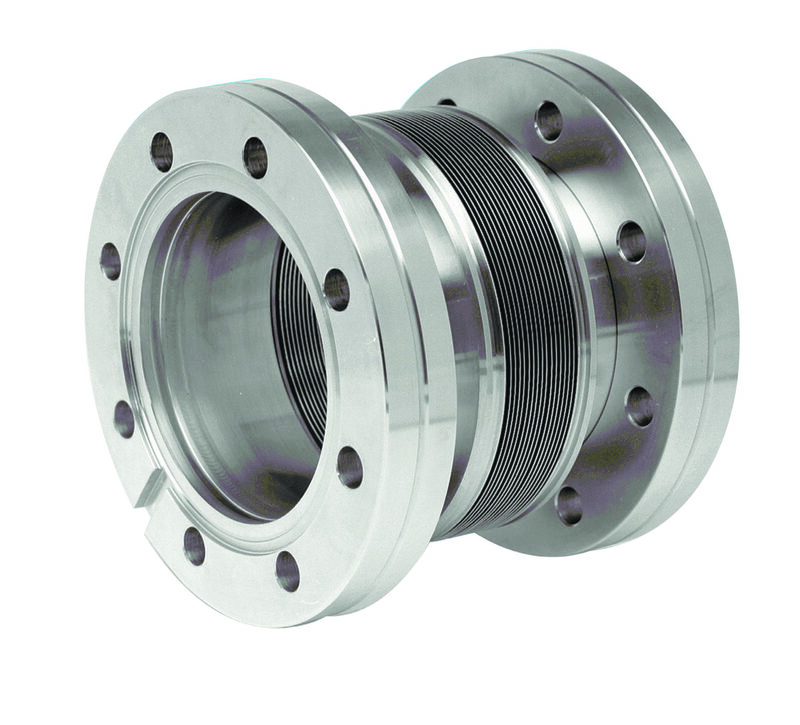 They provide true UHV performance, without any bellows, oil, slip rings or differential pumping. 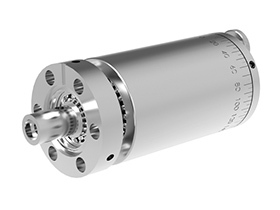 The larger MD64LB has a break-away torque of ~40Nm, providing an extremely stiff coupling, ideal for rotating the arm assembly. 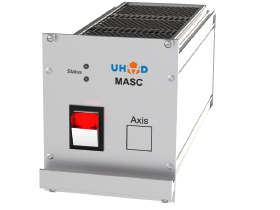 The smaller MD40 actuates the mechanisms to drive the arm in and out. 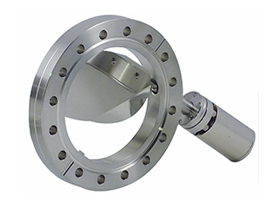 An issue with many radial distribution chambers system designs is the issue of the rotating arm motion causing the arm extension assembly to move (often described as the axis cross-talk). 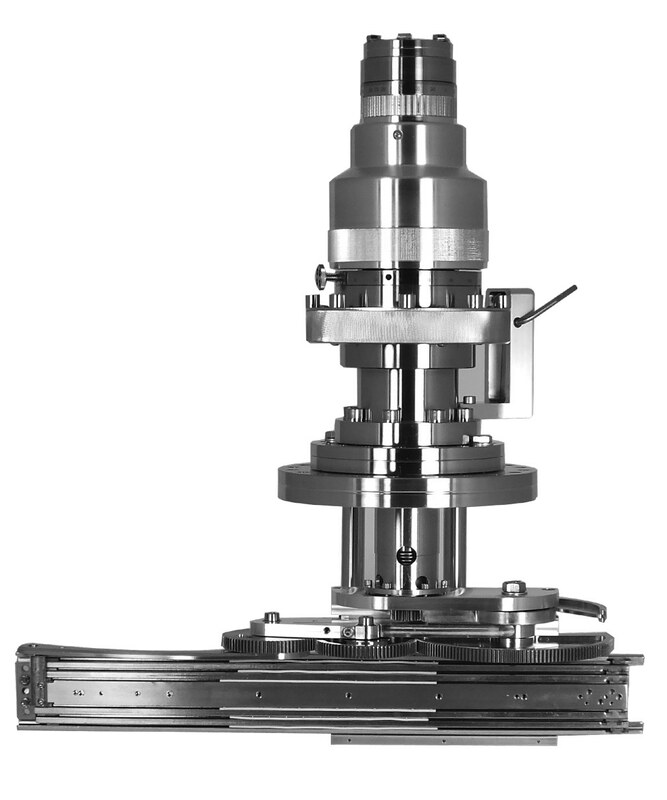 Therefore, rotation of the arm also causes the sample to be driven in and out, losing its position. 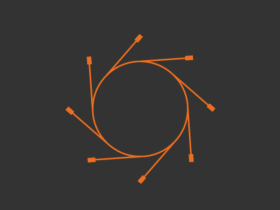 To overcome this, complex software programming is required to unwind the secondary drive during rotation of the arm. 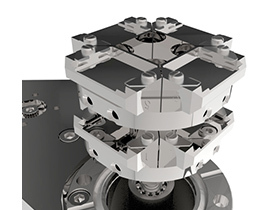 UHV Design recognises this to be an unwanted feature and has, therefore, removed this as an issue through a unique mechanical design used on many other UHV Design manipulators over the years. 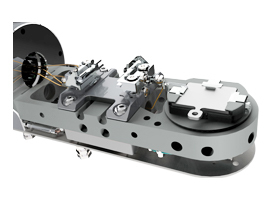 In brief, this links the rotary motion of the MD64 arm to the motor mounting of the smaller MD40, mechanically unwinding the undesired motion, without the need for complex software.